We don't actually use any Chris King components on our bikes, but I've always been an admirer of the way he does business. They make amazing kit that lasts as long as possible, and are one of the most environmentally responsible manufacturers I know. This is what I consider constitutes a Cotic product. Durability being a key point. It's the main reason we use steel so extensively, and even if we move into other materials, durability will be the mantra. It's got to last. As with the King products, it's not the cheapest way to do it, and certainly building a largely steel full suspension frame out using Reynolds 853 tubing is considerably more expensive than the aluminium frames to which it is often compared, and which those companies are making considerably larger margins than us. However, a huge thing for us is that when someone buys a Cotic it will last, and last, and last. One of the best things in my job is getting an excited email from someone who has just ordered a sticker kit, because they're getting their 8 or 10 year old Cotic re-finished. I love that because that bike has given them so much pleasure, and I love that because I know it will continue to keep a smile on their face for another 8-10 years at least. In fact, when I sent this letter out to our mailing list this morning, I got the following reply which embodies this exactly, but I'm also a sucker for upside down forks! My 26 Cotic Soul personifies those 5 aspects you list perfectly…..it’s given me miles and miles and hours of riding and is still my “go to” bike. I have a stable of several and built up many and sold on many but only one I have ever kept and always will. 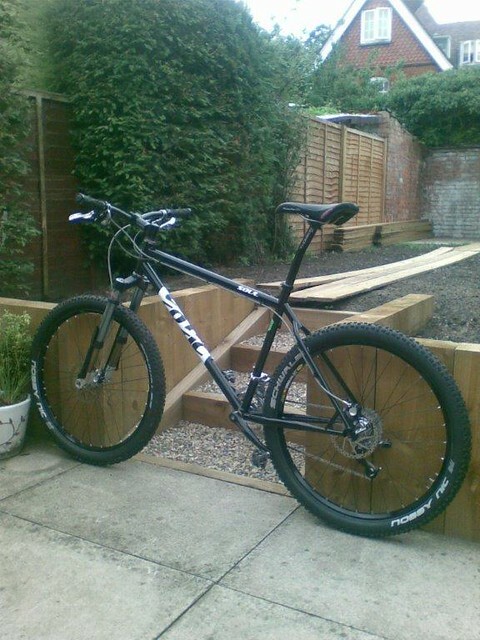 My Cotic Soul 26 (see attached). And is if to prove a point here she is replete with Chris King hubs, Maverick SC32s etc etc – you’ll recognise all the other kit. The bike is no spring chicken now but always, always gets loads of compliments (unlike my riding) despite not now being “the latest” kit. Here’s to you and Cotic. Take it from a customer that your products do personify everything you have set out to achieve. Our current warranty return rate is under 1%. Careful design, careful material choice, and making sure the quality control is done at our suppliers ensures this. Hope are the UK parallel to Chris King, and make fantastic components that last. That's why you can option them on all our bikes. Same with Shimano drivetrains, X Fusion Forks, Race Face kit, Joystick bars, Cane Creek parts. We have very little trouble with this stuff, and neither do our customers. It's important to us, and if you're interested in buying a Cotic I expect it's important to you too.